Celebrating the recent launch of Park Chinois’ Twilight Dim Sum series, which brings together an eclectic programme of entertainment and seasonal cuisine each Sunday evening, we invited London-based photographer Maisie Cousins to join Chef Min in the kitchen for a dumpling masterclass. Cousins’ work viscerally explores femininity and sexuality in a confident and open way, simultaneously seductive and repelling. 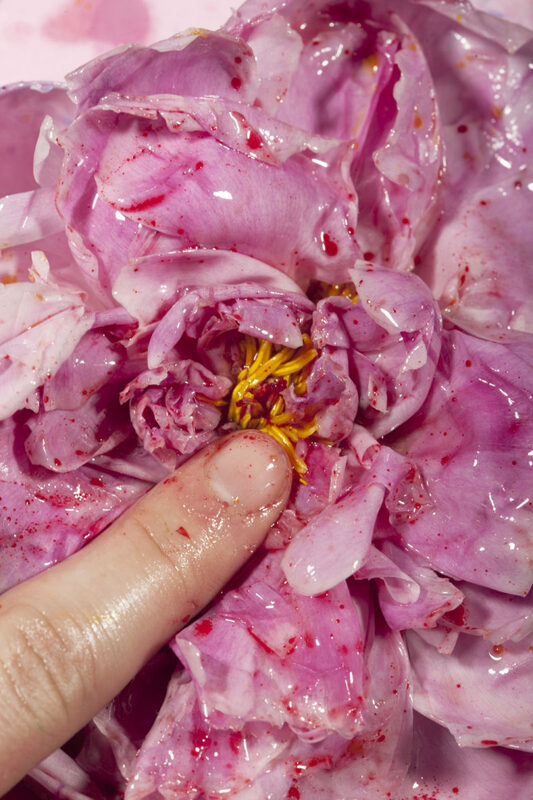 With glimmering liquids enclosing female flesh, spilling over pink flowers and vibrant foodstuffs, the photographer’s images are inexorably immersive. In conversation with Park Chinois’ Head Bartender Francesco, Cousins tells us more about her work and why she likes dim sum.